The case was appealed to the Supreme Court, which represented the combination of five different cases, including the South Carolina case of Clarendon County, which involved Thurgood Marshall and his subordinates. 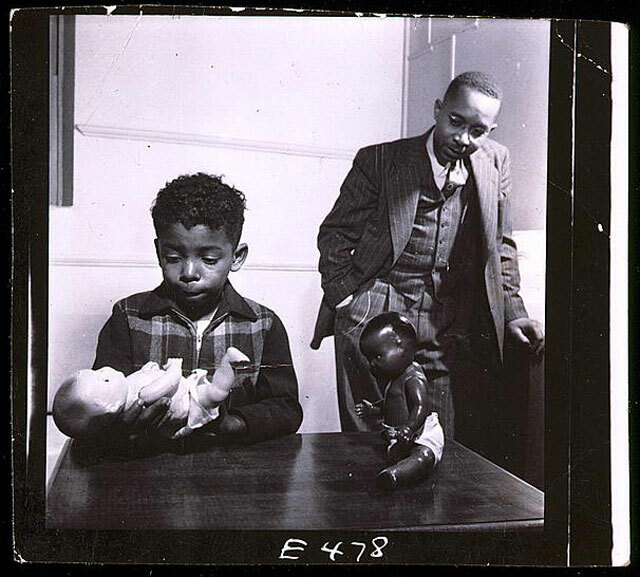 In the Clarendon County case, Marshall called upon Dr. Kenneth Clarke to perform a study on the black children enrolled in black elementary schools of Clarendon County. 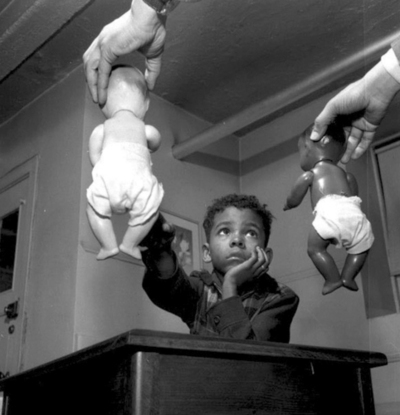 Clarke placed realistic dolls on a table, half black and half white, with no other differences in appearance except for hair color. 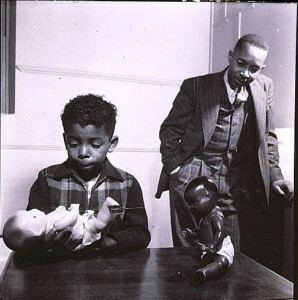 The children were then asked questions regarding which doll they would rather play with, which one is a nice doll, which one looks bad, which was ugly, pretty, etc. There was clear preference toward the white doll among all children who participated in the study. The study showed a clear indication that segregation was causing psychological harm on the black children, because it deemed them as inferior to their white counterparts. The study was presented at the Supreme Court as well, providing substantial evidential support to the plaintiff’s case. The Supreme Court ruled in favor of the plaintiffs, deeming racial segregation as a violation of the Equal Protection Clause of the Fourteenth Amendment of the United States Constitution (The clause, which took effect in 1868, provides that no state shall deny to any person within its jurisdiction the equal protection of the laws). The ruling paved the way for integration, and also questioned whether the Supreme Court had the right to infringe upon state legislature, which was the main argument for the defense. The case set a precedent for the Supreme Court to be allowed to deem state laws unconstitutional. 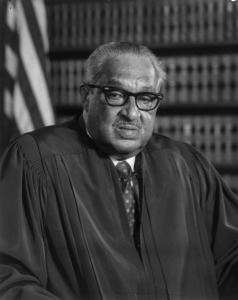 Thurgood Marshall, alongside his mentor Charles Hamilton Houston, was responsible for the most significant undertakings and victories for the NAACP. The organization began their legal battle against racism and segregation in 1909. Hamilton trained his future staff as dean of Howard University, with Marshall being his personal protégée. 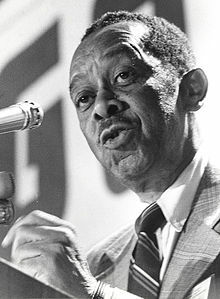 Hamilton was appointed as the first special counsel of the NAACP, and was commonly referred to as the “Moses of the civil rights movement.” He was also the chief strategist for the legal campaign to end segregation in correspondence with the NAACP. 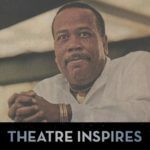 Thurgood followed in Hamilton’s footsteps, and became the next chief counsel for the NAACP. He won his first U.S Supreme Court case in 1940 at the age of 32, which was the same year he was appointed as chief counsel. He won 29 out of the 32 cases that he argued before the Supreme Court. Marshall developed a close relationship with J. Edgar Hoover, the Director of the FBI, during the 1950s. 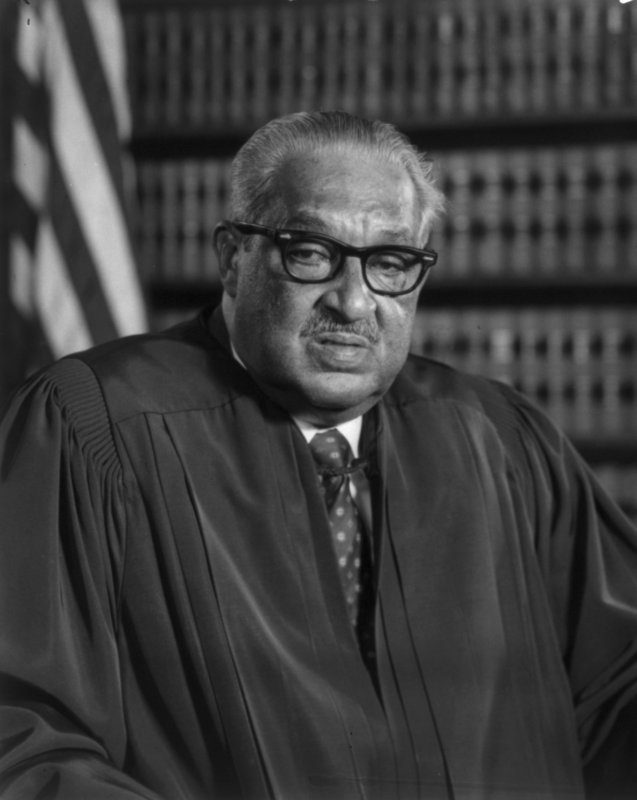 Marshall also became the first African-American to hold a position as an associate justice to the Supreme Court, and was issued in on June 13, 1967 after the resignation of former justice Tom C. Clark. He served as a member of the Supreme Court for twenty-four years, and retired from the court in 1991.